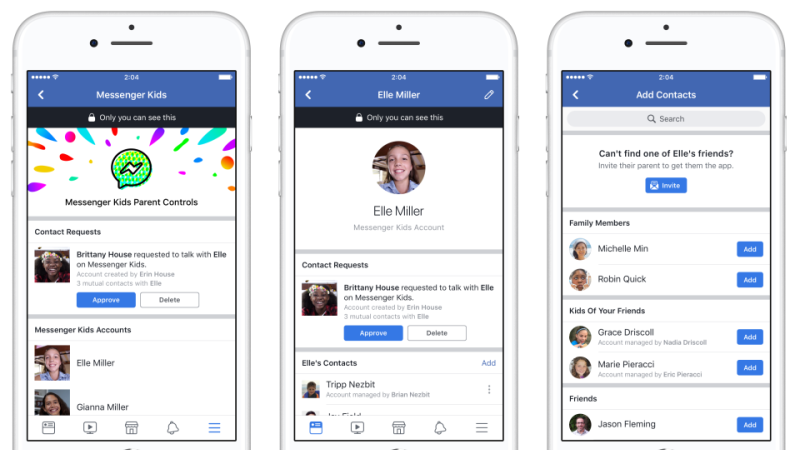 In December, Facebook launched Messenger Kids, a new messaging service for children as young as six. Now, a bunch of advocacy groups are urging Mark Zuckerberg to discontinue the app. The Campaign for a Commercial-Free Childhood sent a letter to Zuckerberg on Tuesday, arguing that social media is detrimental to the development and well-being of younger children. The letter, signed by nearly 100 child health advocates, cites multiple studies connecting social media use and screen time with depression, negative body image, sleep deprivation, and an increase in stress. Aside from the developmental detriment social media may have on young children, there are also privacy implications to consider. Children are now depending on Facebook—which has a screwy history of moderating content—to deal with harassment and inappropriate content. “Messenger Kids is not responding to a need – it is creating one,” the letter states. According to app data company App Annie, Messenger Kids ranked 36th on Apple’s App Store charts for “Kids Apps” in the US as of yesterday. And it was ranked fifth among “9-11 Kids Apps” in the US on iOS. While Messenger Kids is not nearly as popular as Facebook’s regular Messenger app, these rankings show that the app is getting some attention. Tuesday’s letter isn’t the first time Facebook has been criticized for poisoning the minds of its users. Facebook’s first president, Sean Parker, last year said of the social network: “God only knows what it’s doing to our children’s brains.” Also last year, former vice president of user growth Chamath Palihapitiya said he believed “we have created tools that are ripping apart the social fabric of how society works.” He later walked back his comments by noting that Facebook is trying to do better. In an effort to do better, Facebook announced in December that it is working with experts and investing in research to determine if time spent on social media is bad for us. Conveniently for Facebook, there is now a letter with 97 experts and advocates who have a response to that nagging question. We have reached out to Facebook and will update this story if we hear back. Update: The Campaign for a Commercial-Free Childhood offered the following comment. Facebook Launches New Messenger App for Young Kids—What Could Possibly Go Wrong?